Chris Carlin and Ike Reese. 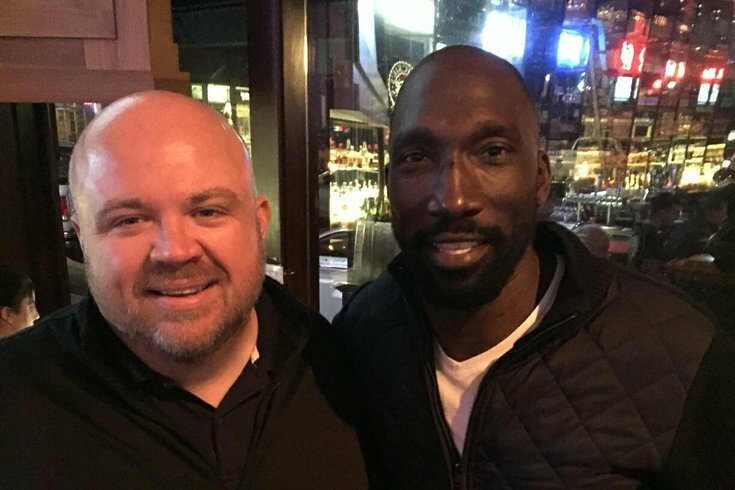 Just over a year after joining the Philadelphia airwaves, Sportsradio 94WIP host Chris Carlin will reportedly leave his afternoon slot with Ike Reese to return to his former employer in New York. WFAN, still in upheaval after the arrest and resignation of Chris Carton, plans to hire Carlin away from Philly for an afternoon show that will also feature former NFL linebacker Bart Scott and current SI Now host Maggie Gray, according to the New York Daily News. The expected addition of Carlin comes as Mike Francesa, the former "Boomer and Carton" co-host who has been manning the booth alone , prepares to leave WFAN as originally scheduled on Dec. 15. Carlin previously worked for WFAN as a producer for the "Mike and the Mad Dog" show. Carton, a himself former WIP weekend host, was arrested by FBI agents in early September following an investigation into an alleged ticket resale scam. Prosecutors say the ex-radio host, who resigned from WFAN, bilked $5.6 million from investors to cover his gambling debts. In Philadelphia, Carlin joined Ike Reese last November after the departure of the former Eagle's mid-morning co-host, Michael Barkann. The move was part of a series of lineup changes that impacted nearly every WIP time slot, with the exception of Angelo Cataldi's long-running morning show. At one point, WFAN had been considering outgoing New Jersey Gov. Chris Christie to replace Francesa. Plans for the launch of WFAN's new afternoon lineup were not immediately known. It's also unclear how WIP would plan to fill in for Carlin in the event he leaves town on short notice. An attempt to reach Sportsradio 94WIP for comment was not immediately returned.